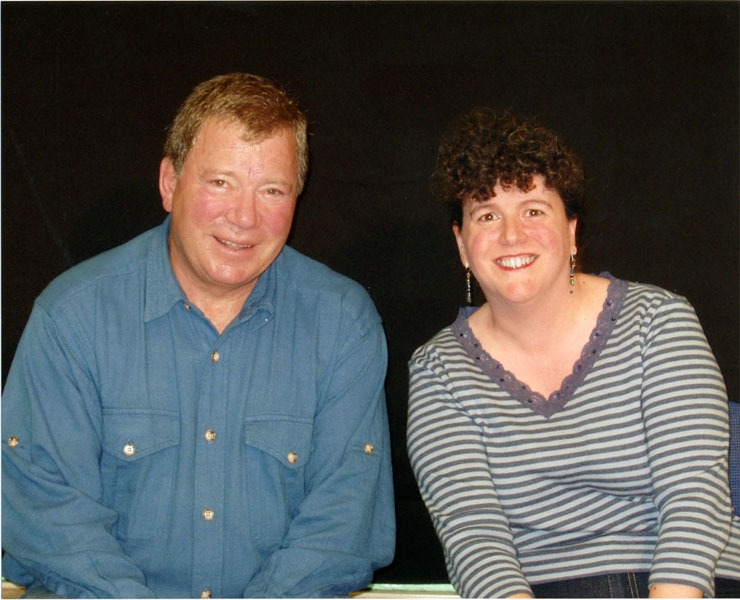 In Honor of William Shatner’s 82nd Birthday today, it seemed a good time to post this! Bill Shatner came to speak locally here 11 years ago ( 11,already?) as he was already in the area to host a paintball tournament. He was also the guest of honor at a mini-convention here sponsored by Creation Entertainment, I was delighted to finally see the man in person again (since ’76) and this time with a decent camera! He gave a great talk about his career, activities, and of course, Star Trek, and I’ve got to tell you, he’s one of funniest speakers I’ve ever heard; a natural comedian! It’s no wonder he often goes for offbeat roles. He captivated the crowd from the moment he strode on stage, and even answered my question. I asked “What do you love about being an actor, what do you hate about being an actor, and if you had the chance, would you go back to Broadway again?” He said (approximately) that he loved fleshing out characters, hated the long, boring periods of time waiting between takes, and that he actually did have the opportunity to come back to Broadway in a revival of UrineTown: The Musical as the evil President, but that working in NYC would be too hectic. By the way, this was not too long before he became the immortal Denny Crane on Boston Legal and the spokesman for Priceline, and his star’s been pretty much continuing to soar ever since. He’s really an amazing person, and I’m so glad I got to meet and get my picture taken with him. My only complaint was, of course, how much different from my meeting with Nimoy was 25 years earlier — the main difference being economic. True, the 1970’s were simpler times; celebrity events weren’t so tightly regulated, and I got Mr. Nimoy’s (personal) autograph for free, not the pricey amount required to have an autograph and photo with Bill. One could actually visit and speak with Mr. Nimoy too, but unfortunately, Creation made it verboten to speak with Mr. Shatner. 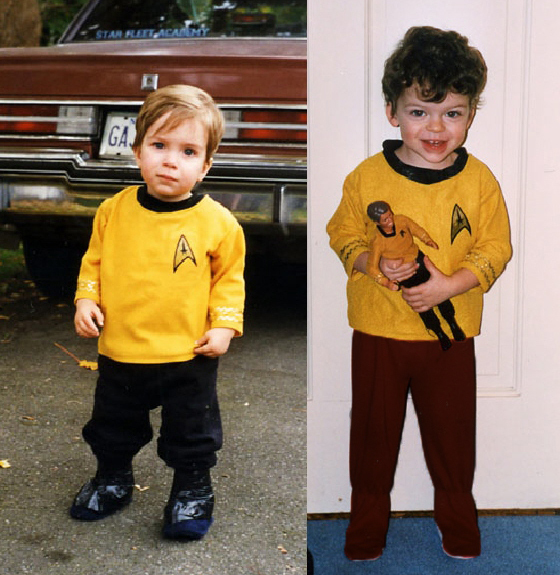 (I sneaked in quick sentence while standing in front of his table anyway, passing him a personal letter with pictures of my kids dressed as Captain Kirk, and at the site of the pictures of my boys, he said “How Sweet!”). Yet despite the pricetag, it still was worth it, and I gotta tell you, when the photographer sat me next to him for the picture, I really just wanted to give him a big hug, but I kept my composure, just leaning in as closely as allowed. Bill, if you’re reading this, you won’t remember me, but I must say, it was a pleasure just to glance into those hazel eyes. The man’s adorable, and like the Energizer Bunny, he keeps going and going! Happy Birthday, Sir! And many, many more! This entry was posted in Star Trek: The Original Series, The Real World and tagged 1978, 2003, Leonard Nimoy, Therese Bohn, WIlliam Shatner. Bookmark the permalink.